Ofcom has allowed three local TV channels to adjust their local programme commitments in a bid to enable more flexibility in what they can show. The channels, serving Lancashire, Manchester and the Solent area, will be allowed to show less local programming than originally promised in their licence applications, with some other requirements made more flexible to facilitate changes to the schedules. The move by Ofcom will see That's Manchester required to broadcast 49 hours a week of local programming during its second and third years of operation, instead of the 52.5 hours a week previously agreed upon. The channel will be required to devote 22.5 hours per week to local news and current affairs, which remains much higher than ITV's regional requirements. That's Lancashire will now be required to broadcast 17.5 hours of local news and current affairs programming, down from the 22 hours originally promised for the second and third year of operations. The number of repeats of local programming it needs to show will also be reduced from 79.5 hours a week to 48.75 hours. That's Solent has seen its obligations to show repeats of local programming abolished. The channel, with which Esther Rantzen was once involved with, has also been allowed to reduce its commitment to consumer affairs, with the obligation to have at least one programme per week covering consumer issues changed to a broader commitment to showcase consumer issues on the channel each week. Approving the requests from the local TV operator, Ofcom said that the changes would not represent "a departure from the character of each of these services". Of That's Manchester, Ofcom said the channel would still provide a high volume of local programming. That's Lancashire promised not to use the extra flexibility afforded by the changes for teleshopping or gambling in prime-time. That's Solent also promised not to show teleshopping or gambling during peak hours. The channel, which serves audiences in the Southampton, Portsmouth and Isle of Wight areas is still required to maintain its current first-run local output. 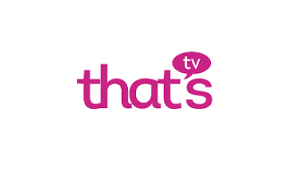 All three channels are carried on Freeview & YouView channel 7 in their local areas. The changes are just the latest in a number of such requests to Ofcom from local TV operators where commercial realities and viewing figures have exposed original commitments to produce and show extensive amounts of local TV programming as being financially and operationally unviable. The most successful local TV stations have begun pooling programmes and formats with some of the stronger local operators taking over struggling channels. Full details of the approved changes have been published on the Ofcom website.